This includes the odd things that animals can do or just plain strange things that happen in nature. It takes someone with a lot of time on their hands to figure out a couple of these things. The facts on this page are all the cool things that none of our teachers would ever tell us. This is a collection of either out-dated or out-of-this-world laws from around all 50 states. Noteworthy achievements, events, feats and blunders of most every conceivable kind. Well, unless you were an expert in any of these fields, you probably wouldn't know most of the odd facts. Stage names of famous (and not-so-famous) actors and actresses along with their real names. This is a page made by me primarily to tell people that I've got one. It is not all that great because I'm still learning how to do this stuff. I feel like they need to show me how to do this stuff on Sesame Street. That is the place that I learned how to do the most important things in life. It taught me to look both ways before crossing the street. Because of that, I haven't died. Totally Useless Knowledge does NOT check into the validity and/or accuracy of any "fact" on this site. 85% of this site is comprised of various facts that have been emailed to me. This site is for entertainment purposes only. Please do not use this site as a reference in any school project. Remember: Just because it is on the internet does not mean it's true! New Fact of the Month!!! The ancient Greeks and Romans put the east at the top of their maps because that is the direction from which the sun rose. The early Christian and Moslem nations did too because it was believed that the Garden of Eden had been located in the east. North gradually moved to the top of the map near the beginning of the 14th century. This was because more and more armies, emissaries and traders were travelling north to Europe where there was a larger population mass. Without emails from you, my site will become a rotting piece of meat on the internet that everyone forgets about until you realize just how much it stinks. I would like to know if any facts are wrong and I am always searching for more. Any suggestions in content/form are welcome. A site of just facts would be too serious. The Official Home of the R-Team! 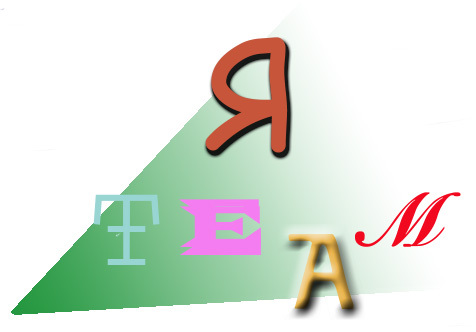 If you don't know what the R-Team is, you must click the image to find out. Copyright � 1997-2012 IHOPC, Inc.